If you are looking for an X370 chipset motherboard, but don't quite need all the fanciful extras, the X370 SLI FLUS may be the board for you. As it is part of the 'PRO Series', the X370 SLI PLUS targets industry professionals and businesses that are looking to cut down on cost without compromise. Recently MSI displayed their ability to create a beautiful, high-quality, high-performance motherboard in the form of theX370 XPOWER GAMING TITANIUM, and that same design ethic extends deep into this product even at under half the price. 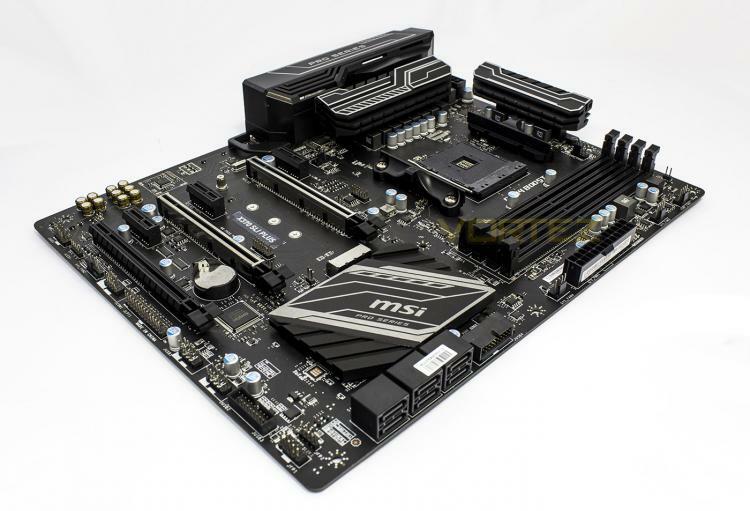 The X370 SLI PLUS comes out as a sleek, blacked out motherboard with all the primary benefits of the X370 chipset, including a host of the latest USB standards, robust heatsinks, high grade components, robust electro-static defences including the use of 'Steel Armour', and of course the high-speed M.2 32Gb/s slot. The primary and secondary PCIe x16 lanes are each given a triple slot clearance to give users optimal positioning so content creators (and of course, gamers) can get the best out of the use of a multi-graphics card setup. Comparatively, there has been some polishing in regards to various non-essential features, allowing MSI to offer this X370 motherboard at a highly competitive price of under £130.